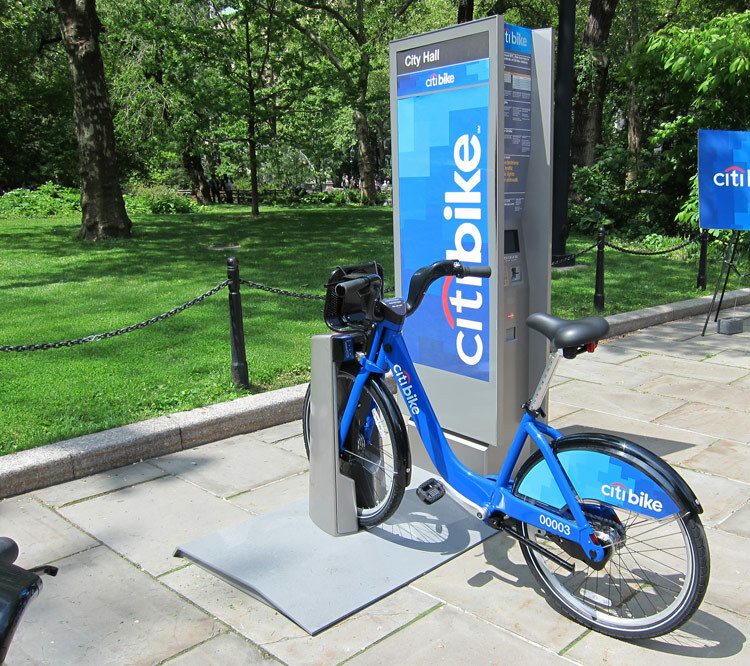 When the bike share system is complete, 10,000 bright-blue bicycles will be scattered throughout three boroughs, docked at 600 stations located in Manhattan, Long Island City, and a healthy chunk of Brooklyn from Downtown Brooklyn to Bed-Stuy and north through Greenpoint. The bikes and stations are being assembled at the Brooklyn Navy Yard, and with 20,000 tires to inflate, we’re willing to give them a little slack. In the meantime, check here for public demonstrations being staged around the city, where you might just land yourself a free helmet.